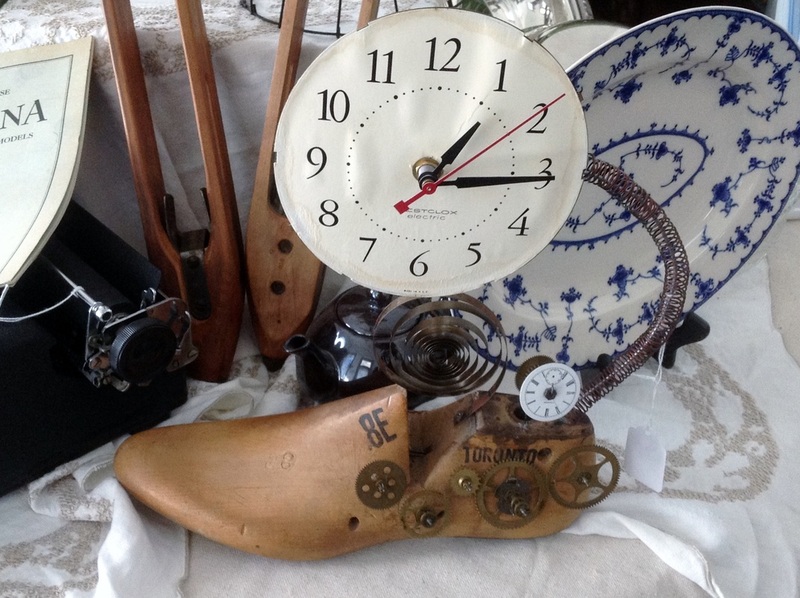 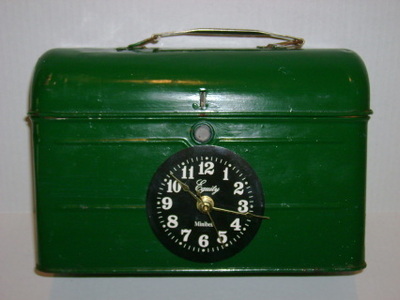 Inspired by upcycling old items found at garage sales, flea markets and antique stores, these clocks are a unique gift. The clock movements are new, the faces are vintage. 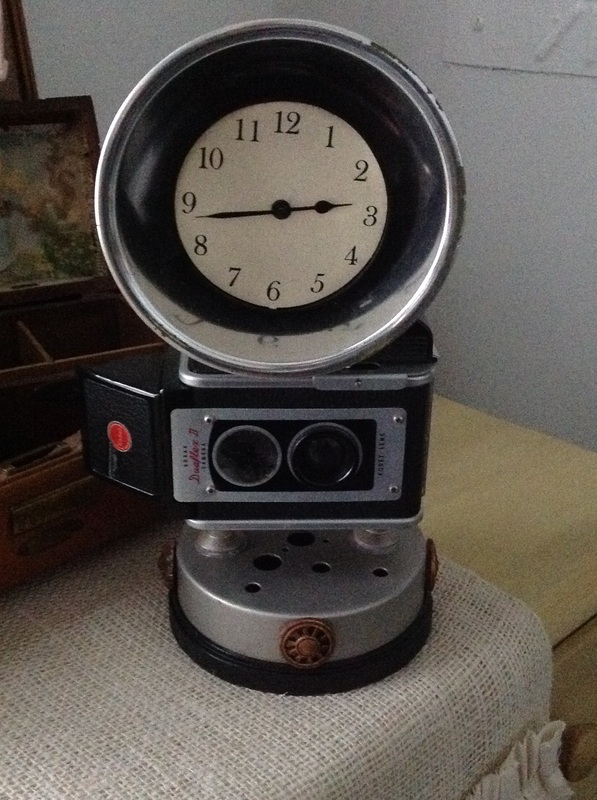 Some come from old wind-up alarm clocks, mantel clocks or just old clocks. The movements become part of the clock as well. 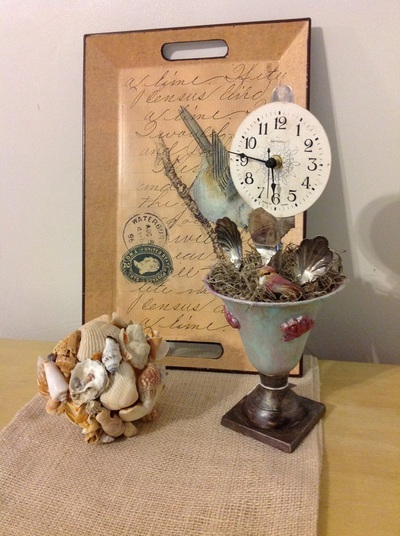 Each clock is a one of a kind and hand crafted by an artist in St. Simons Island, GA. 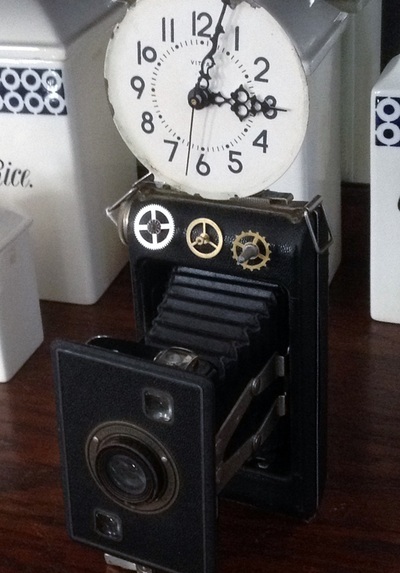 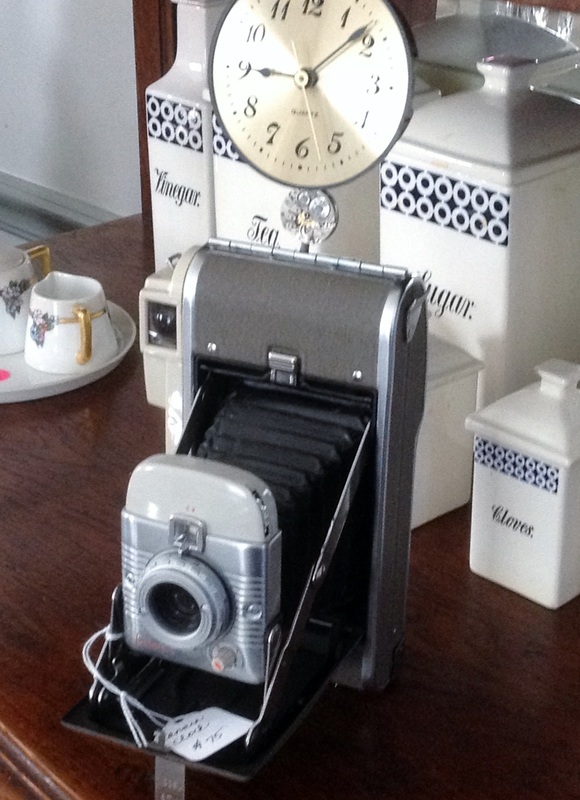 I see these clocks used in home offices, tucked into bookcases, and given as gifts, especially to anyone who loves vintage, old cameras and conversation pieces! 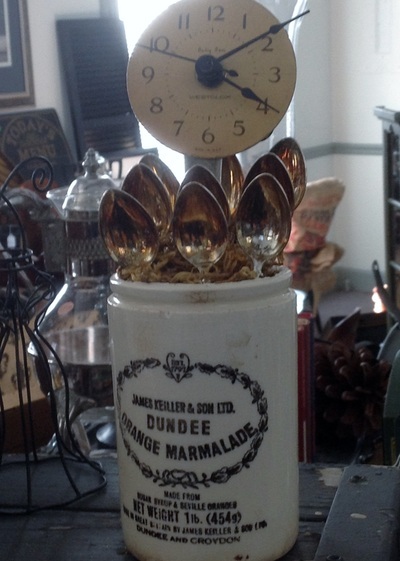 Click on the photo to enlarge the individual picture.